After receiving a degree in paralegal studies, C. R. Lemons was a paralegal for many years until deciding on a career change of currently managing her husband’s business. As a child, she would love reading her mom’s romance novels and acting them out with her dolls. She always had an active imagination and dreamt of sharing it through writing. This dream finally came true with her first novel Getting Him Off Quickly. 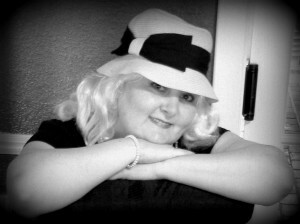 C. R. Lemons is a native Texan who enjoys her coffee strong, her music rockin’ and her life full of laughter. She lives with her adorable husband, two beautiful daughters, and three spoiled Chihuahuas. I have such an active imagination and I truly enjoy transcribing it into words. As I am writing, the people, places and things come to life before me and I completely lose myself. Writing is my meditation. I start off with a one sentence idea and the story grows from there. I have a general idea of where the story is going and the rest of the story comes to me as I write. I hand write notes for something that may come later in the story and I do not want to forget about it. I believe I do have some kind of an outline going on in my head, but mostly I am a seat of the pants writer. I observe my characters and their lives. Although I have not had a conversation with my characters, they are very real to me. I would love to sit down and chat with them over a coffee or cocktail, maybe even dance with them. I have had to act out certain scenarios to write the descriptions correctly, so I do channel my characters ever now and then. Set your goal, start writing, keep writing and finish. Take your time and do not rush the process. Editing is important, so have a good editor or edit better than the best you can. I chose to self-publish because my goal has always been to write a book and share it with readers for their enjoyment and entertainment. Self-publishing, especially through eBooks, will continue to rise as the future of book publishing and hopefully at some point have a stronger recognition.